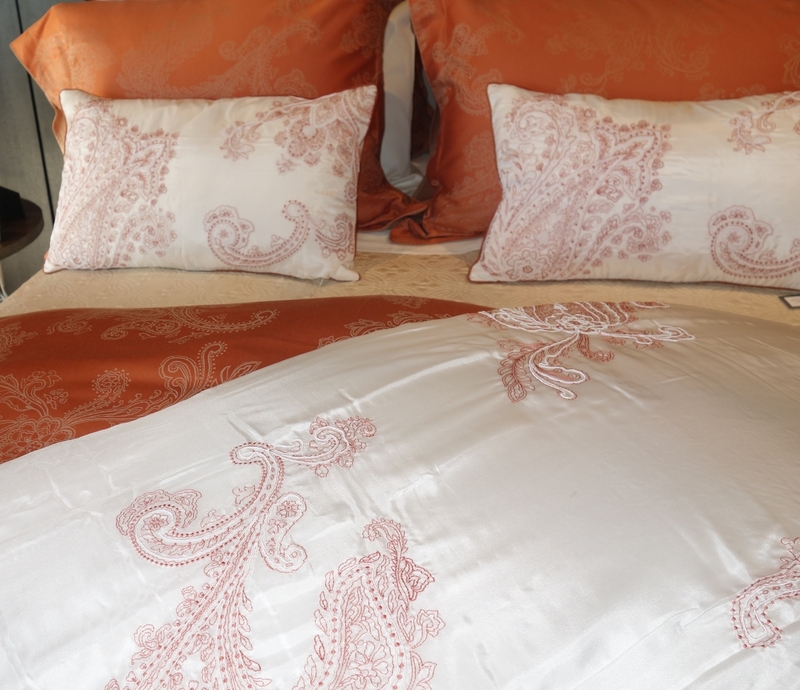 A timelessly luxurious jacquard combines the elegance of Kashmiri patterns with the deep color of natural sienna, in shades of leather and silk. 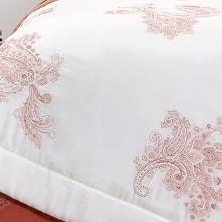 The design is filled with details inspired by ceremonial fabrics. 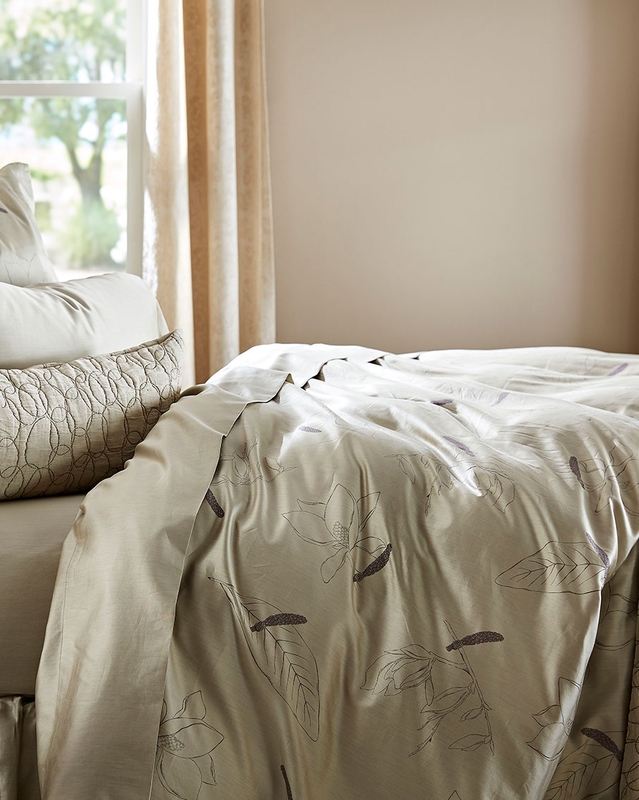 Yves Delorme's Apparat collection is new for fall '18. 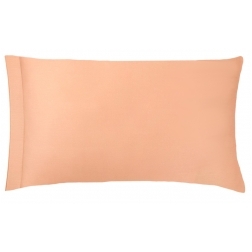 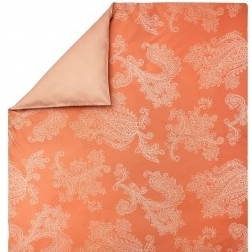 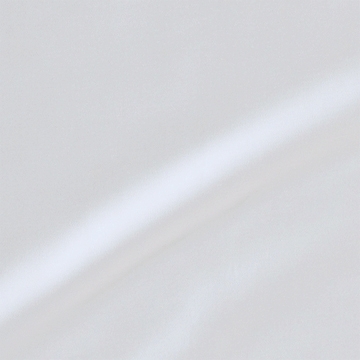 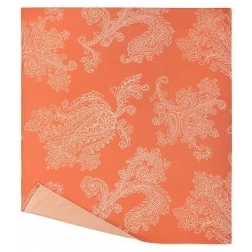 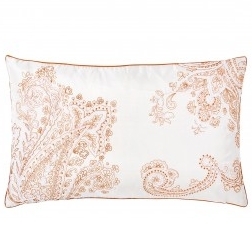 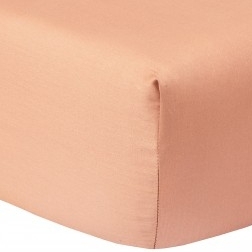 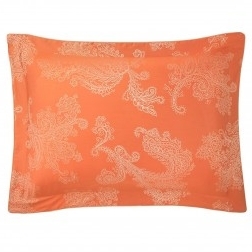 The sheets, shams and duvets are woven of 100% cotton sateen damask, and feature ivory on top of burnt orange. 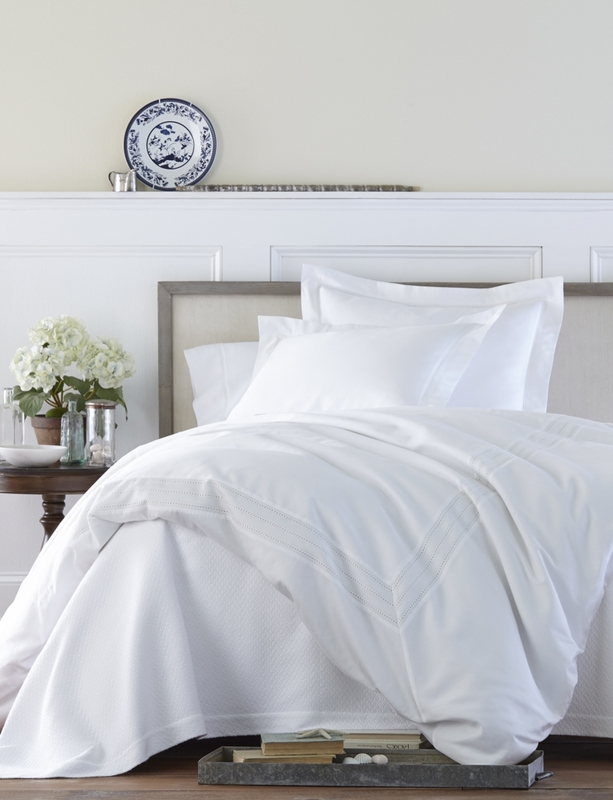 An inverted silk throw and dec pillow round out the bed.